Rob writes: The last few weeks have been extremely busy and I've not done a very good job of keep all of our readers up-to-date with everything that's been happening. Early in May, I made the 3.5 hour drive to Northwest Ohio for the Biggest Week in American Birding. I'm part of the planning committee for festival and am in charge of all of the field trips that go on during the festival so I spend a lot of time in the area during the first 2 weeks of May. Each year I enjoy watching the Prothonotary Warblers that nest along the boardwalk at Magee Marsh. 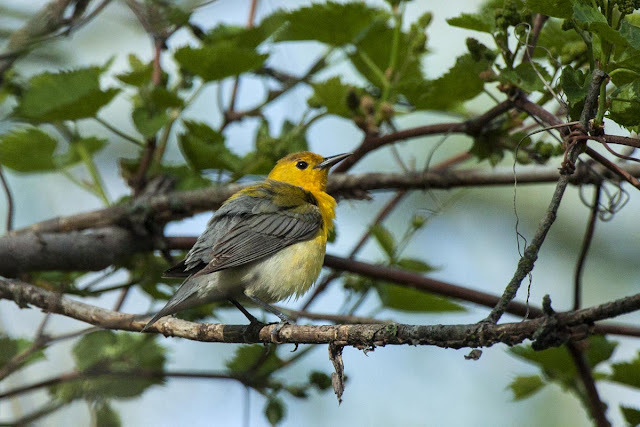 This year, I arrived a few days early so that I could lead a private tour for a couple from Massachusetts that wanted to see as many warblers as possible during their stay. We lucked out and hit one of the best days of the whole spring while they were there! They saw several lifers and our views of all the warblers and other migrants that day were spectacular. Once the festival got underway, it was a whirlwind of activity. One the first day, I helped lead a fundraising hike for the Ohio Young Birders Club that was sponsored by Birds & Blooms Magazine (which I write for). The hike featured Kenn and Kim Kaufman as the main leaders and was a blast. 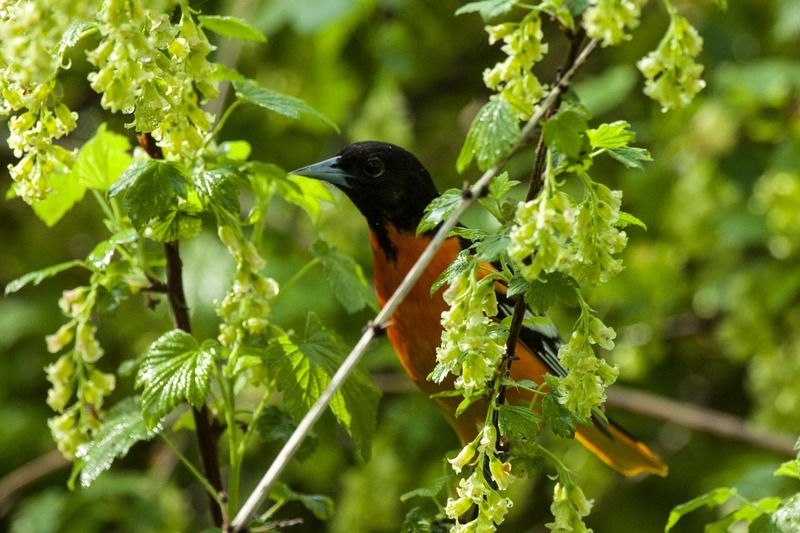 Everyone on the hike enjoyed getting great looks at Baltimore Orioles. My commitments with Birds & Blooms continued the next day when I participated in their Bird Day competition. My team and I spent 3 hours finding as many species as we could and ended up winning the competition and helping Black Swamp Bird Observatory get a nice donation in the process. After a few days of light birding, my next group of birders arrived from the Cincinnati Nature Center to spend the next 2.5 days birding with Sabrewing Nature Tours. We ended with over 125 species during their time with us and had such a fantastic time with this group. The rest of my time was spent leading a few trips for the festival and keeping all of our other field trips on schedule. As always, I love the birding at Biggest Week but it's really the people that attend that make the festival so special. I got to spend time with many old friends and made just as many new ones. You can read more about my thoughts on the Biggest Week and its effect on people and the local economy in my post from the 2014 festival by clicking here. I hope that all of our readers will consider joining us at the 2016 Biggest Week from May 6 - 15. The festival is held at Maumee Bay State Park Lodge each year. Be sure to get your reservations early as the lodge sells out every year. Stay up to day with Biggest Week news by signing up for our eNewsletter here.